Shahrokh M. Saudagaran is a Professor of Accounting and the Director of the Master of Accounting Program at the Milgard School of Business at the University of Washington Tacoma. He is Secretary General of the Asian Academic Accounting Association and Past President of the American Accounting Association's International Accounting Section (IAS). In 2002, the Japanese Association for International Accounting Studies awarded him a lifetime honorary membership in recognition of his contributions to international accounting. In 2004, he received the American Accounting Association's Outstanding International Accounting Educator award. In addition to receiving several teaching awards, Shahrokh has also been recognized for his research on the impact of accounting diversity on global capital markets, and financial reporting in emerging markets, particularly those in Asia. He has published extensively in the top international business, accounting, and finance journals. He has presented his research at conferences and universities worldwide including New York University, Stanford, the University of Washington, Australian National University, Macquarie University, University of New South Wales (Australia), Chubu University (Japan), the Hong Kong University of Science and Technology, Hong Kong Polytechnic University, Nanyang Technological University (Singapore), Chulalongkorn University (Thailand), Gadjah Madah University (Indonesia), the Norwegian School of Management, the Stockholm School of Economics (Sweden), and Warwick University (UK). He consults and teaches executive seminars in international accounting and finance for corporations in Asia, Europe, and the United States. Shahrokh has served on the editorial boards of The Accounting Review, Accounting Horizons, and Issues in Accounting Education and as associate editor of the Journal of International Accounting Research. He currently serves as consulting editor of the International Journal of Accounting Auditing and Performance Evaluation, and on the editorial boards of several other journals. He is the sole author of International Accounting: A User Perspective - a textbook used in universities in over 20 countries. He is the editor of a reference book Asian Accounting Handbook: A User's Guide to the Accounting Environment in 16 Countries (Thomson International, 2005). 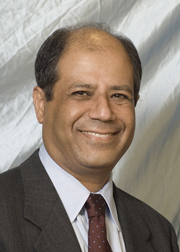 Shahrokh obtained his Ph.D. from the University of Washington (1986), his MBA from the Iran Center for Management Studies, and his Bachelor of Commerce from the University of Bombay. He was licensed as a CPA in Washington state. His previous academic positions were as the McCullough Professor of Accounting and Director of the International Business Studies Institute at Santa Clara University (1986-2000) and as the Arthur Andersen Centennial Professor and Head of the School of Accounting at Oklahoma State University (2000-2004). Valuation Properties of Earnings, Book Value and Residual Income: The Case of Four Southeast Asian Countries.The Informativeness of Earnings in Restated Financial Statements.